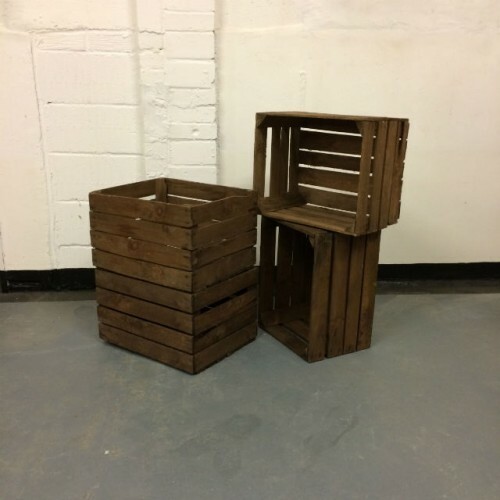 Our vintage wooden apple crates can be hired out for any event. They can be used to create bespoke shelving, or to store and display drinks. They are a perfect accompaniment to our range handmade of wooden bars. Dimensions:[L] 50cm x [W] 40cm x [D] 30cm. Price, for 1-3 day hire: £3.50 per crate.